Also: AXA Venture Partners raises $150m (€130m) to invest in fintech and digital health start-ups; UK Biomedical Catalyst applications now open; Liège University spin-off secures nearly €970,000 to develop its product range. Finnish biotech company Nightingale Health receives €20m financing from the European Investment Bank. 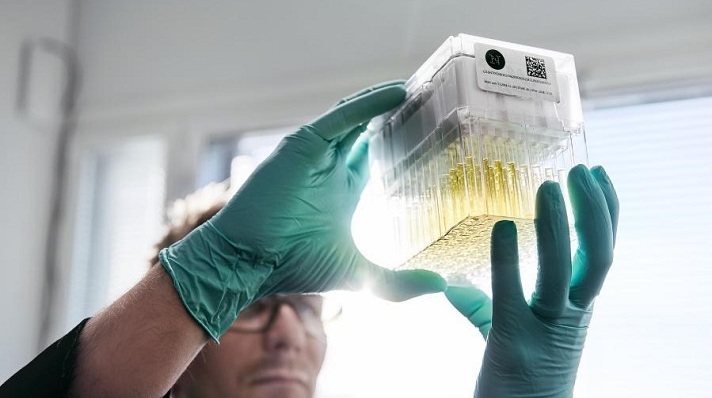 Helsinki-headquartered Nightingale Health has secured a €20m loan from the European Investment Bank (EIB) to further develop its blood analysis technology and improve detection and prevention of chronic diseases. Nightingale’s metabolic profiling technology measures blood biomarkers - molecules indicating disease, and provides more than 220 biomarkers from a single blood sample. The technology is currently being used in public health research, but Nightingale says the aim, in the long-term, is to replace conventional biomarker tests for chronic diseases. In June last year, the company announced that it would analyse the biomarker profiles of 500,000 blood samples from the UK Biobank. Nightingale will now match the EIB loan, which will result in €40m of total investment to be used within the next three to five years to accelerate research and development. “The EIB is committed to supporting companies like Nightingale that can realistically make a big impact and improve the health of EU citizens,” said EIB vice president Alexander Stubb. GSK and Sanofi join study to analyse genome and health data of half a million Finns. Business Finland announced on Tuesday, 22 January, that pharma giants GSK and Sanofi would join the FinnGen study, a public-private collaborative project to collect and analyse genome and health data from national health registries of 500,000 people in Finland. “With the contribution of the new partners, we are able to expand our already ambitious goals and to add a range of new analyses and further expedite the FinnGen sample collection”, said Aarno Palotie, Scientific Director of the FinnGen study. Coordinated by the University of Helsinki and Helsinki University Central Hospital, FinnGen aims to identify new therapeutic targets, diagnostics to treat diseases, and facilitate early access to health innovations. The project is a partnership between Finnish biobanks, universities, hospitals, the Institute of Health and Welfare, the Finnish Red Cross Blood Service and nine pharma companies, and is funded by Business Finland and the industrial partners. AXA Venture Partners raises $150m (€130m) for digital health and fintech funding. AXA Venture Partners (AVP) has raised $150m (€130m) for its second early-stage fund. The venture capital arm of insurer AXA now plans to use the new money to invest in digital health and fintech start-ups across Europe, North America and Israel. AVP will initially provide up to $6m per company to support entrepreneurs. UK Biomedical Catalyst funding programme open for applications. UK businesses can now apply for a share of up to £10m through the Biomedical Catalyst, a partnership between Innovate UK and the Medical Research Council, to test and develop innovative technologies or processes for healthcare. Up to £3m has been made available to assess the commercial potential of an idea or for technical evaluations, and up to £7m for early and late stage projects that are past the initial research and ready to be tested and evaluated, with the two competitions open until midday on 3 April. Phasya raises nearly €970,000 to expand operations. University of Liège spin-off Phasya, which develops software to measure and predict physiological and cognitive states such as drowsiness or stress, has raised nearly €970,000 in equity from private and institutional investors. It now plans to use the money to develop its product range. Its first solution is a drowsiness detection software that is based on the analysis of eye images through eye tracking technologies. “Our priority is the “safetytech” market in which we target applications for improving safety in transportation and industry,” said Jerome Wertz, CEO and co-founder.